I first thought this might be a remake of Mervyn Estcourt's awesome ZX Spectrum racer but alas it wasn't. 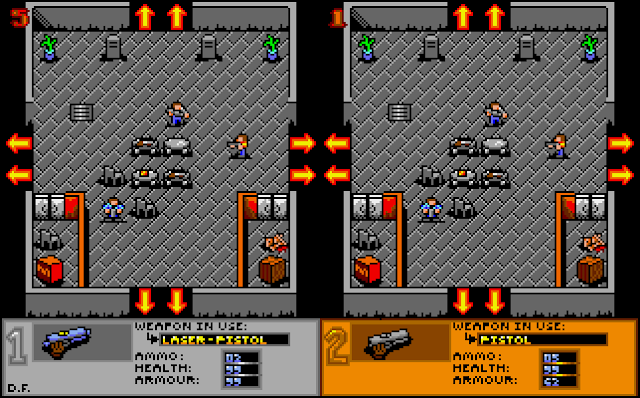 Actually, it's a vicious top-down shooter developed in 1996 by Daniel Fielding and seems to take much inspiration from a variety of great games with support both solo and an incredible co-operative two-player mode. This is sounding awesome already, either solo or with a friend. 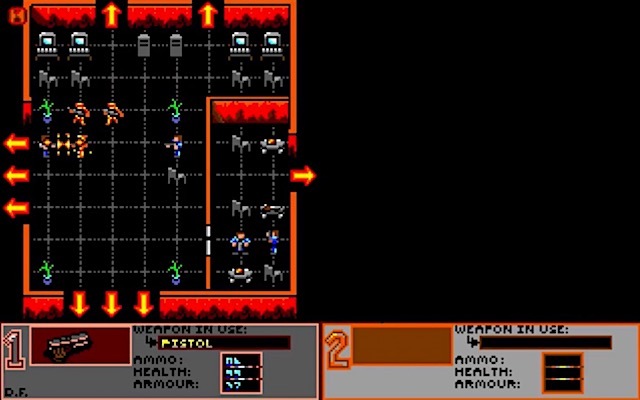 We begin armed with only a pistol and must explore several rooms which are inhabited by killer cyborgs. Come on, guns and bad guys to kill. Bring it!! 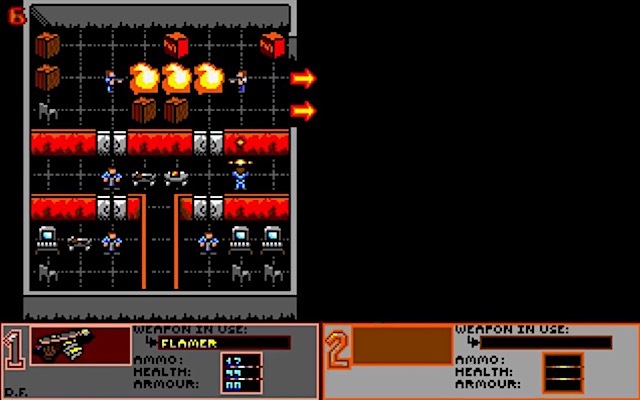 I love the range of weapons and burning the enemies into a flame-grilled burger is tons of fun! Our armoury is huge with a possible 18 weapons ranging from pistols and shotguns to rocket launchers and lasers. Star Wars fans will probably enjoy using the lightsaber? Weapons, ammo and health are found in most rooms so inspect lockers or look on tabletops, but beware of potential traps like mines or even TNT crates. The deaths are hilarious when you zap, sliced or blow up the enemy and there will usually be a bucket load of blood splattering the room! 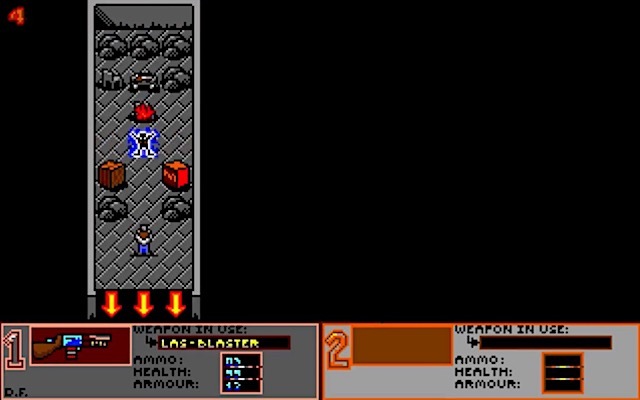 Heck, even your own death can be a fun experience when a shotgun-equipped Eliminator blasts you across several rooms. This leads me to the game's brilliant continue option so you can try again without restarting from the beginning. However, you lose the cool weapons but still have a pistol and your meaty fists. Death Chase is insane and bucket loads of either alone or with a friend. Brilliant gameplay!! Security Guards - these are common and wear a blue uniform but have no intention to serve and protect. Their armour is quite weak but they can use a range of devastating weapons and will often attack in groups. Eliminators - these are definitely the toughest and stand out like sore thumbs in yellow body armour. 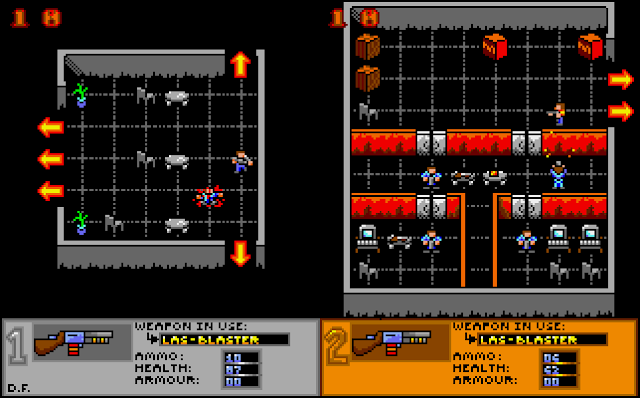 However, this is what helps to make them difficult to kill and they can even carry a range of advanced hardware, like a mini-gun or a rocket launcher. Also, they don't care who gets in their way and even unlucky Security Guards can be torn to shreds during their pursuit. Interestingly, these guys aren't restricted to the one room and love chasing you through the screens. So beware because running away like a chicken will be of little benefit. 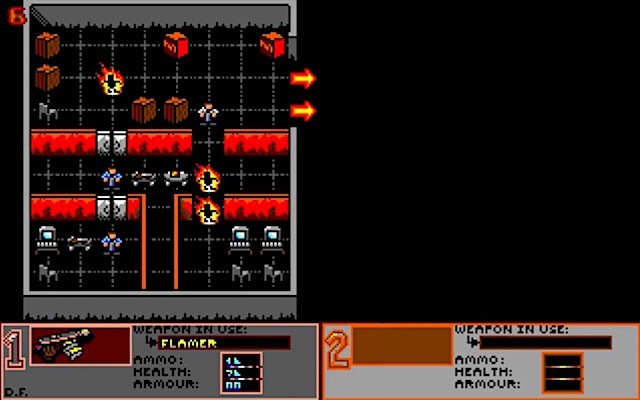 The graphics remind me of how today's developers seem to think "retrogaming" looked back in the day. Okay, it ain't no Enchanted Land but I'm really impressed by the cool blocky pixel art which is a style perfectly apt to the theme. 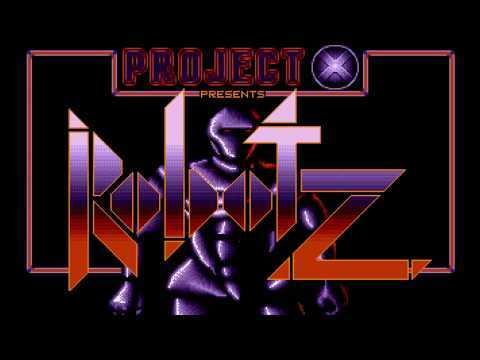 The audio is equal to the visuals with a bunch of incredible Mad Max chiptunes that are played alongside crystal clear DMA samples. These were recorded using Microdeal's Stereo Master from movies like Evil Dead and more. I cannot stress just how much of a thrill it is playing such a psychotic shoot 'em up which looks, sounds and plays brilliantly. 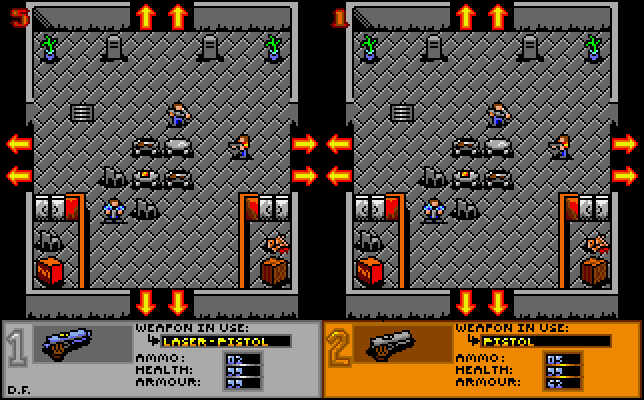 The two-player co-op mode and the ability to continue after dying are killer features that guarantee hours of fun. I love this barbaric shoot 'em up and Death Chase is definitely one of the best games I have ever played. Yes, I really did say that. Not only is this for the Atari STe but it's also one of the best games I've ever played! !